This is done with simplicity at its finest. The art is whimsical, the message is clear and most of all my grandson loves it. I would recommend this book to any child provider as part of their reading library. I gave it a 5 star rating because as I mentioned before the art is cute, sends out a good message, in a child's understanding kind of way. Another beginner reader that I can read! 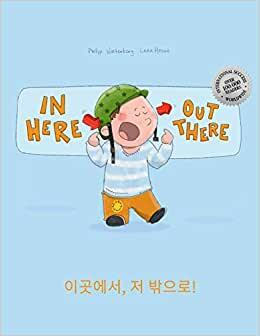 I particularly like this bilingual series of children books written by Philipp Winterberg not only because they help me learn a foreign language(korean) but also they are very entertaining. This will really help my Irish! Great buy! !